Kabam, a world leader in free-to-play games for traditional players, has partnered with Lionsgate (NYSE: LGF), a premier next generation global content leader, to launch The Hunger Games: Panem Rising, the official mobile game of the highly anticipated film The Hunger Games: Mockingjay Part 1, the two companies announced. The game is now available for iPhone, iPod touch, iPad and Android devices. Enlist hundreds of your favorite characters from Katniss, Gale, Peeta, and Beetee to shape the rebellion and liberate Panem! 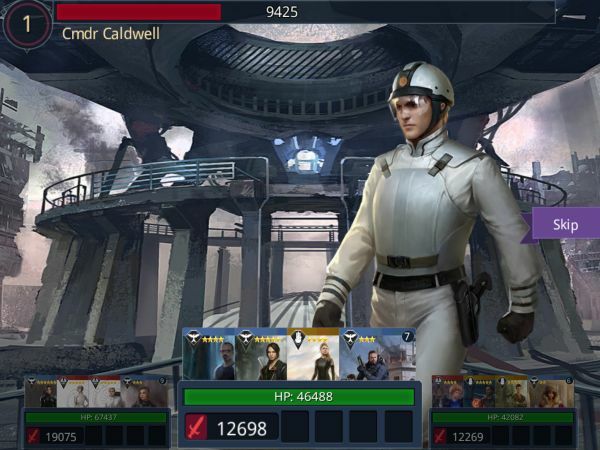 Upgrade and promote your recruits to make them even more powerful. Manage your team by expanding your squad and character’s abilities. Meet the citizens of Panem’s Districts as the story comes to life on your mobile device. Complete missions, recruit rebels and gain valuable collectables throughout Panem; from the Transportation District to the Luxury District! The first two installments of the global blockbuster Hunger Games franchise, starring Academy Award winner Jennifer Lawrence, have grossed more than $1.5 billion at the worldwide box office, and The Hunger Games: Catching Fire is the 10th highest-grossing domestic release of all time. The next installment of the franchise, The Hunger Games: Mockingjay – Part 1, will be released worldwide on November 21. WarpPortal is proud to announce a live testing phase to War of Emperium, the latest update for Ragnarok 2: Legend of the Second .